Double the adventure of a golf round, playing faster, playing better and having more fun. Travel directly to your own ball, allowing more time for pre-shot routine and golf shot execution, and more time to enjoy the scenery of a golf course. Stay focused on your own game, not getting distracted by a fellow golfer having a bad day. Minimize the environmental damage of playing a golf course. Phat Golf Scooters are lighter vehicles that create less wear and tear than a golf cart, which weighs 10 times more than the Phat Golf scooter. WHY JOIN THE SINGLE RIDER REVOLUTION? IT'S LIKE RIDING A COUCH!" Increase profits on electric vehicle rentals with Phat Golf scooter, reducing cost per rental and increasing revenue per golfer. 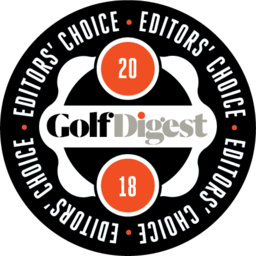 Differentiate your golf facility with the newest technology in single rider golf carts, adding more fun in playing a golf round, which brings back golfers more often. Reduce wear and tear on your golf course by 50% or more with less golfer travel mileage and a major reduction in turf compression. Phat Golf Scooters weigh a fraction of a two-person golf cart. Get more rounds per unit than a two-rider golf cart, utilizing the replaceable battery option to instantly having a fully charged scooter ready for play. At Phat Golf we truly believe that adding a fleet of our electric scooters will upgrade your course experience and add to your bottom line. Check out our products and contact us to learn more about what Phat Golf can do for your course. © 2019 Phat Scooters. All rights reserved. Phat Golf Scooters creates a golf experience like no other. Join the single rider movement on an easy and fun to ride, all-electric Phat Golf Scooter.